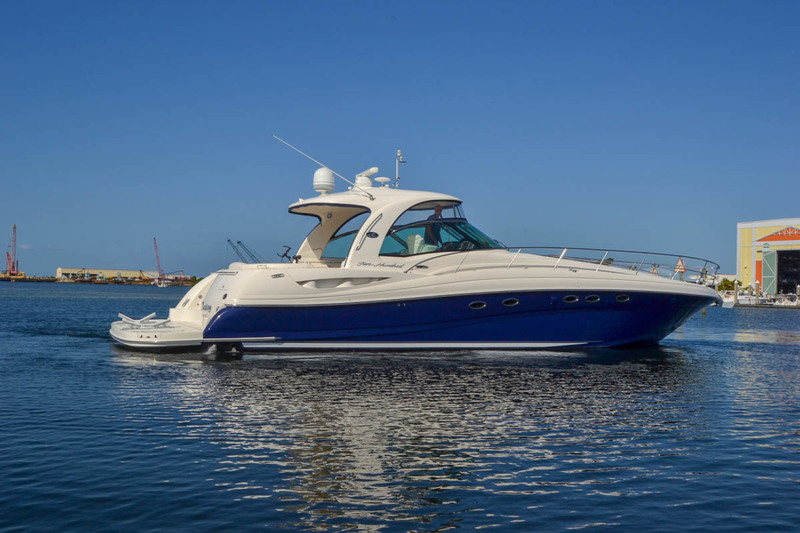 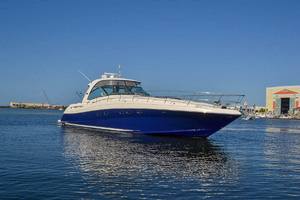 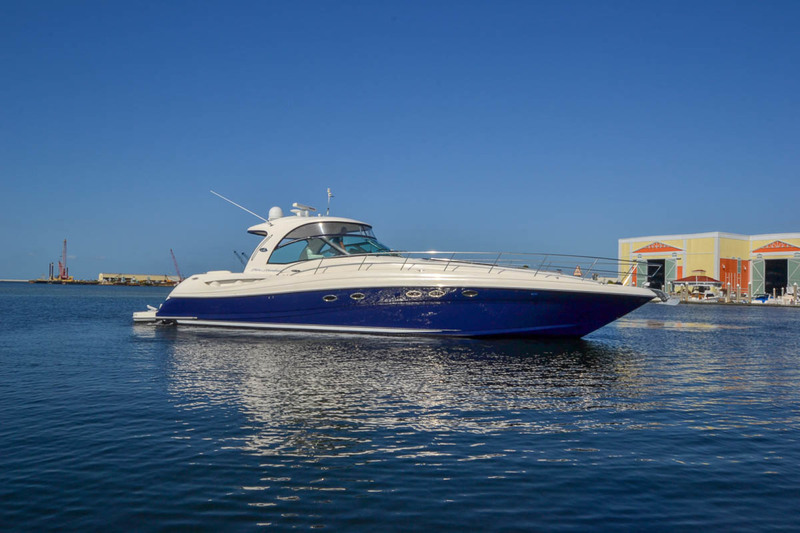 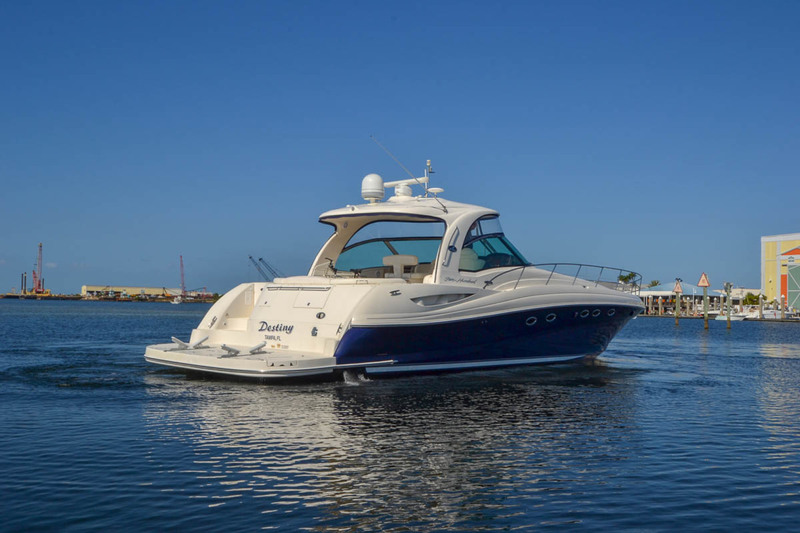 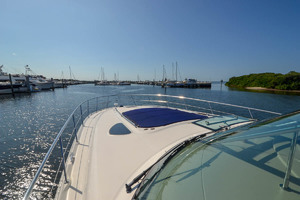 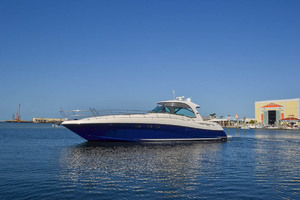 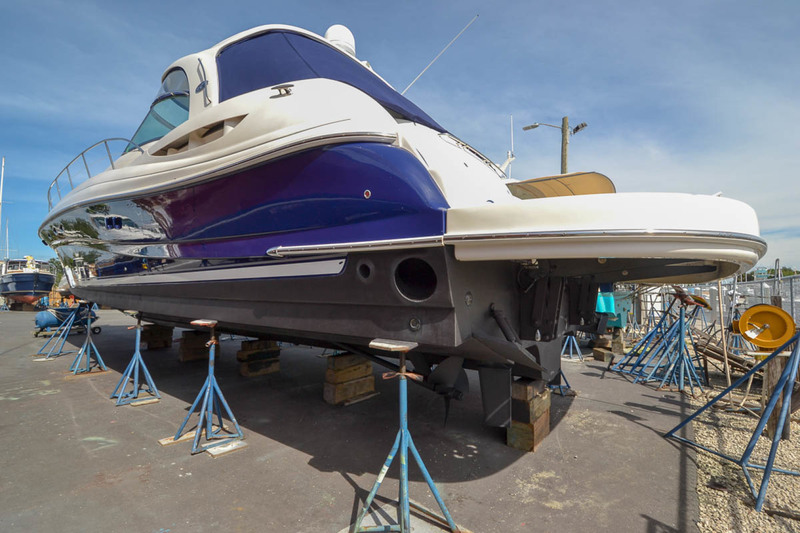 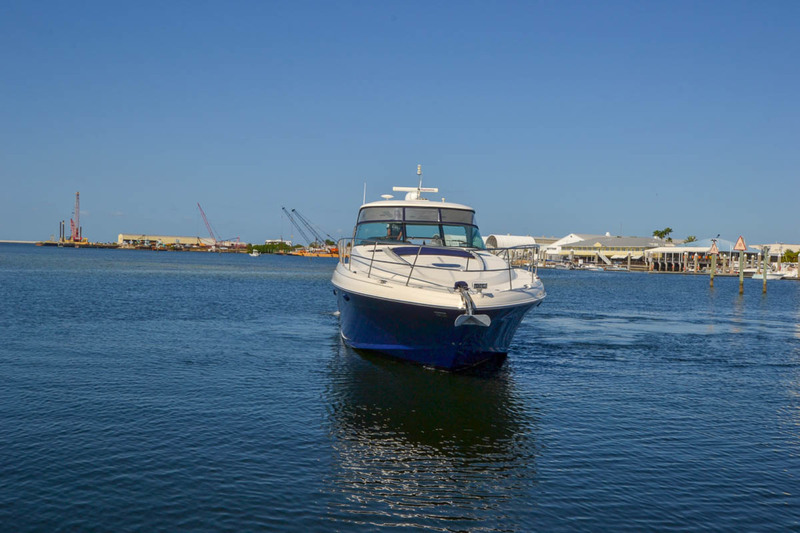 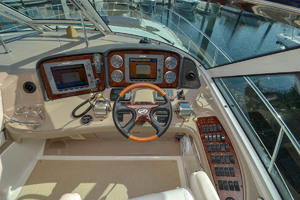 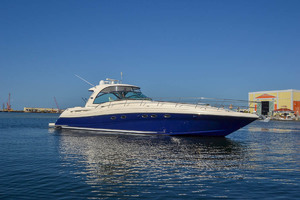 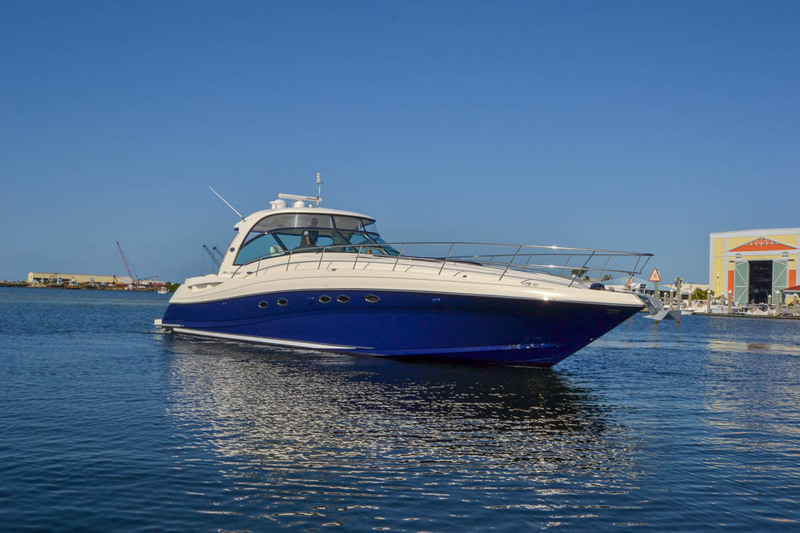 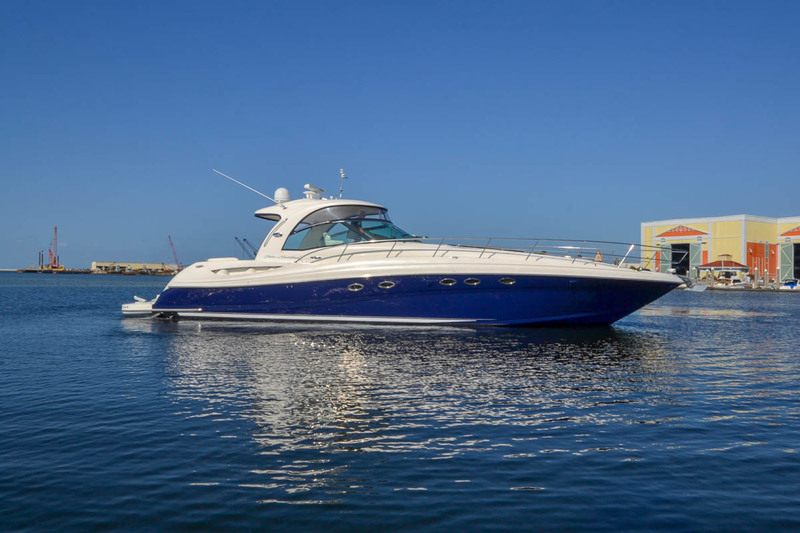 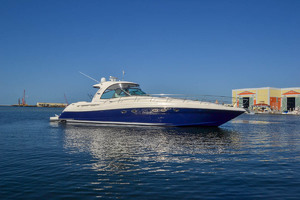 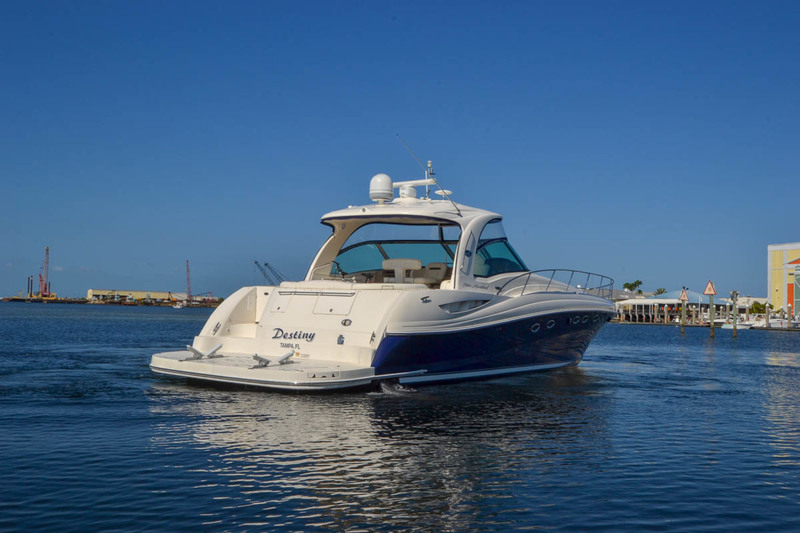 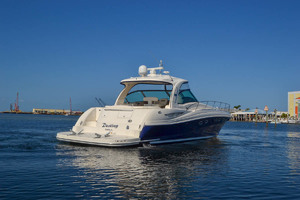 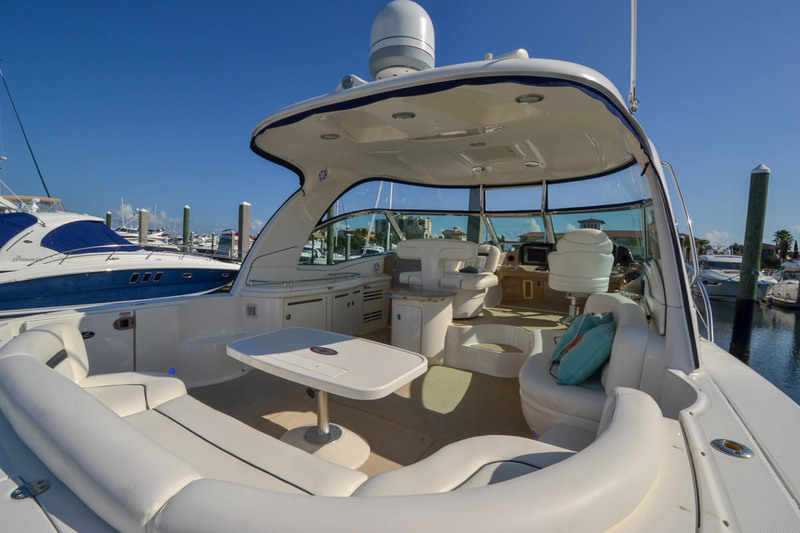 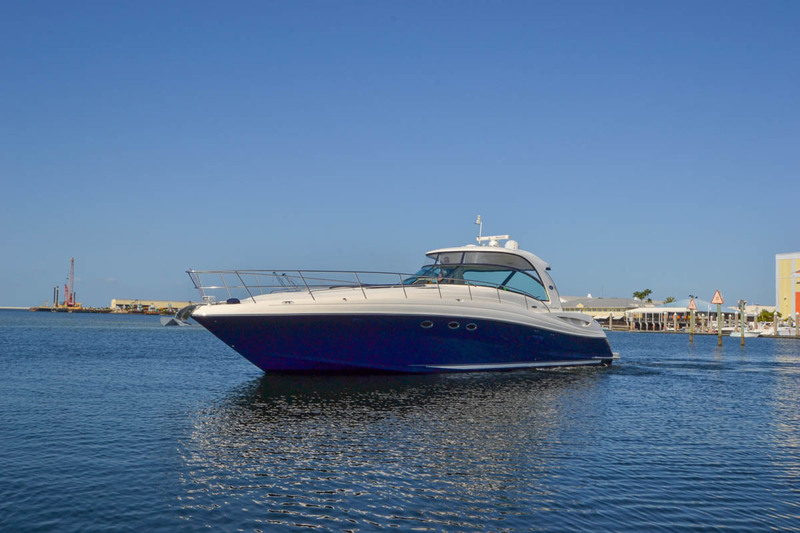 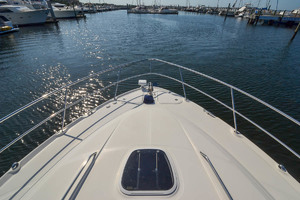 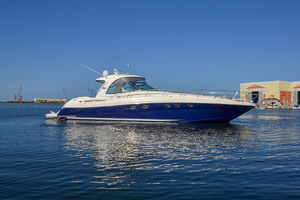 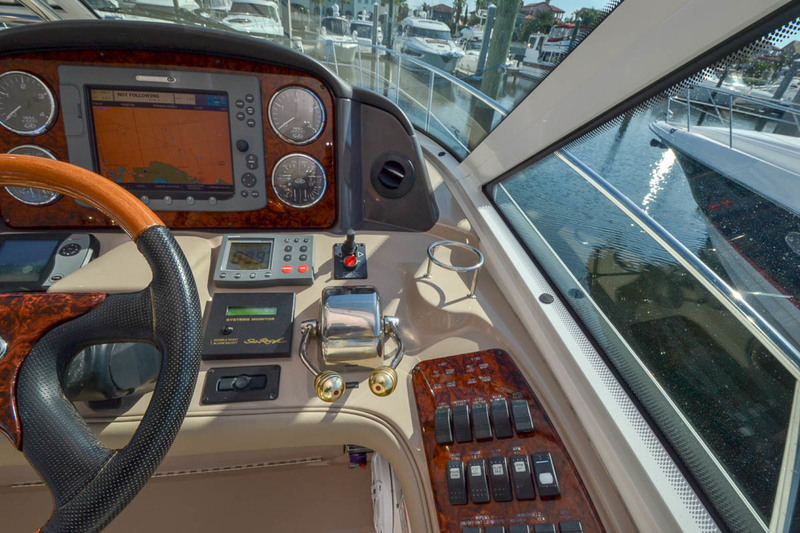 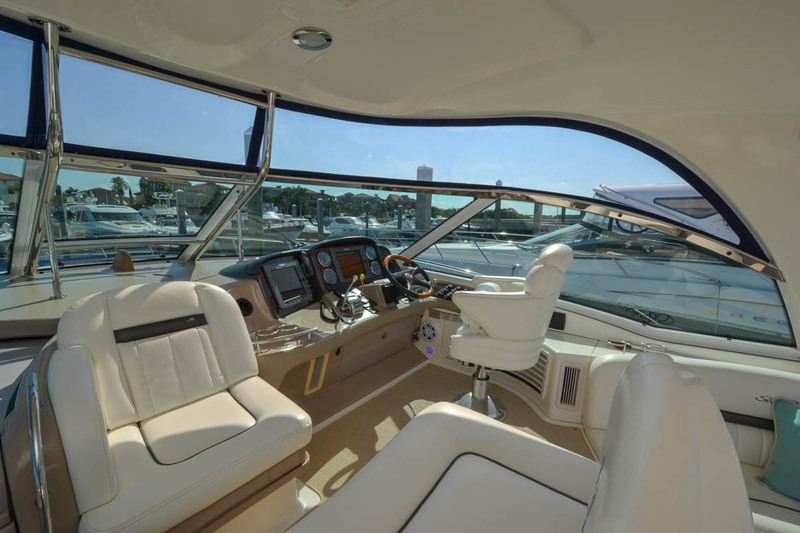 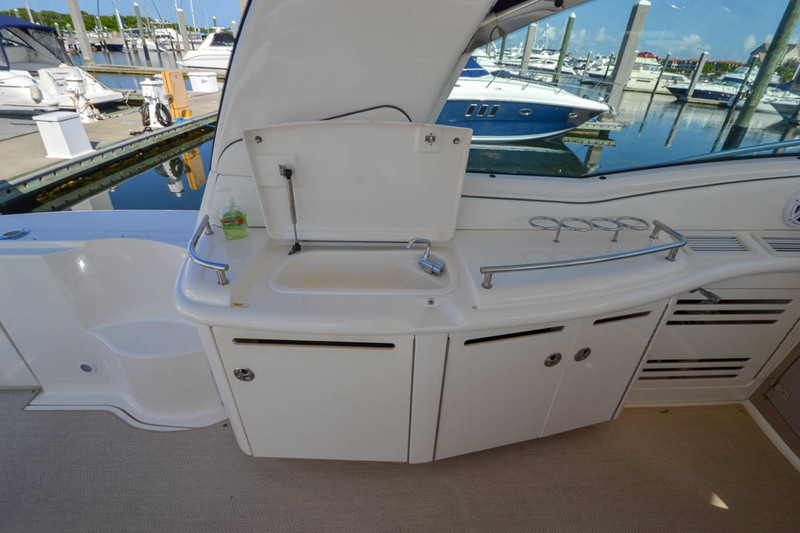 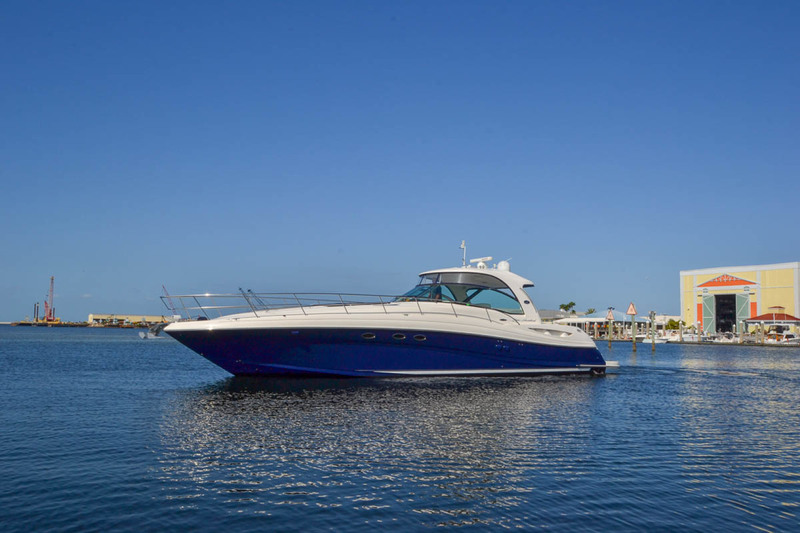 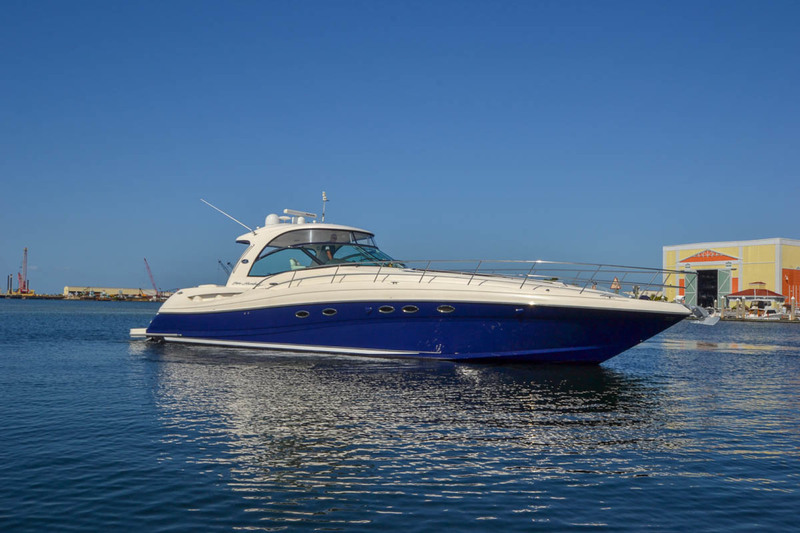 The Sea Ray 500 Sundancer is a stunning hardtop express with sweeping lines that took American Sport Yacht styling to the next level when introduced in 2003. 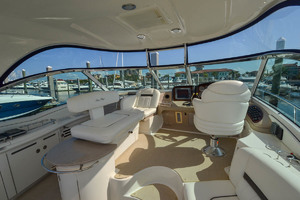 A oversized cockpit with a swivel helm chair, standard hardtop with overhead lighting, two opening sunroof hatches and windshield vent creates coupled with cockpit AC keeps you comfortable. 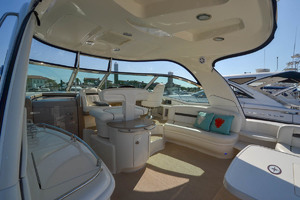 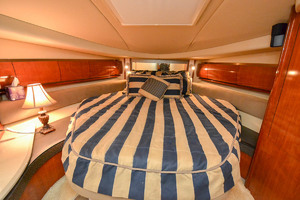 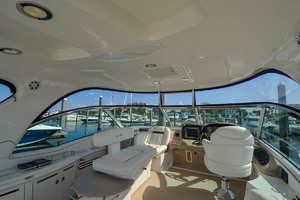 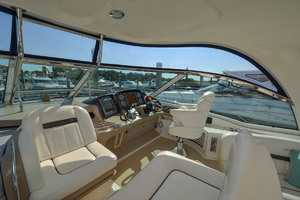 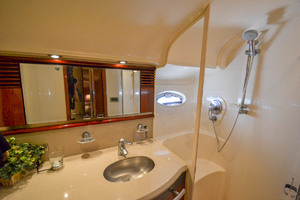 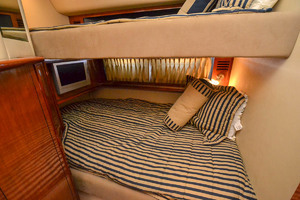 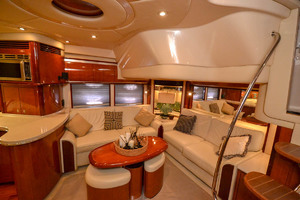 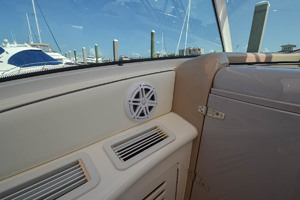 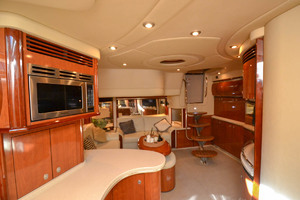 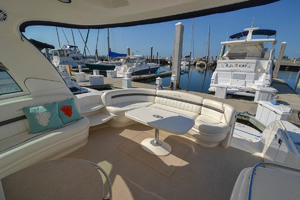 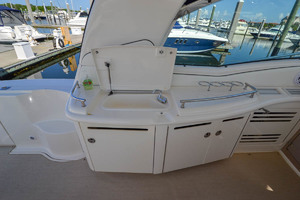 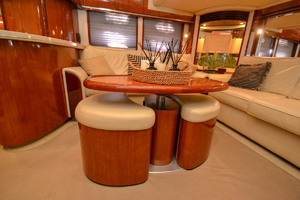 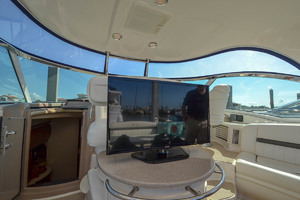 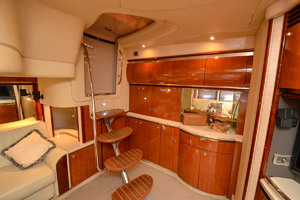 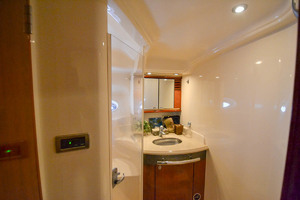 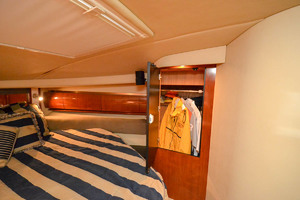 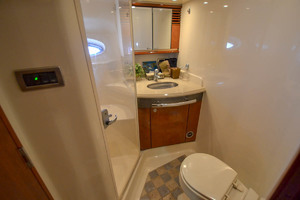 An inviting and protected social cockpit for guests can entertain 10-12 adults easily. 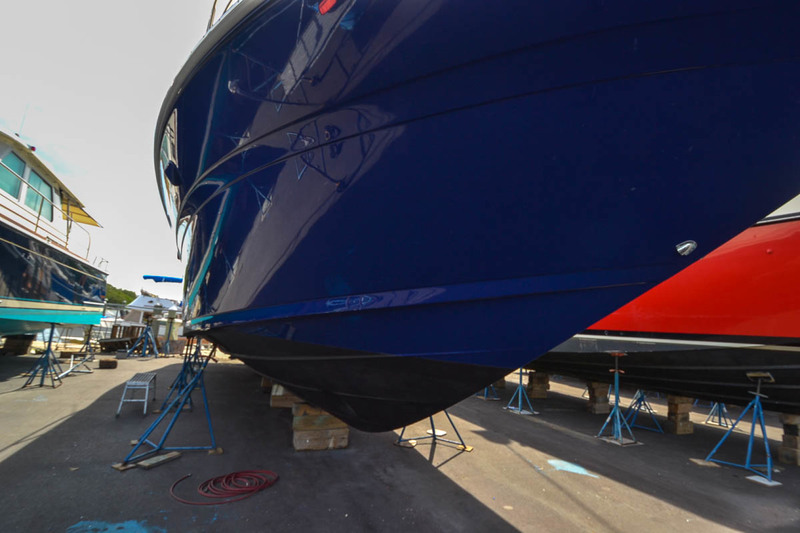 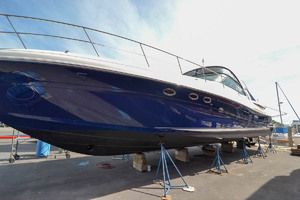 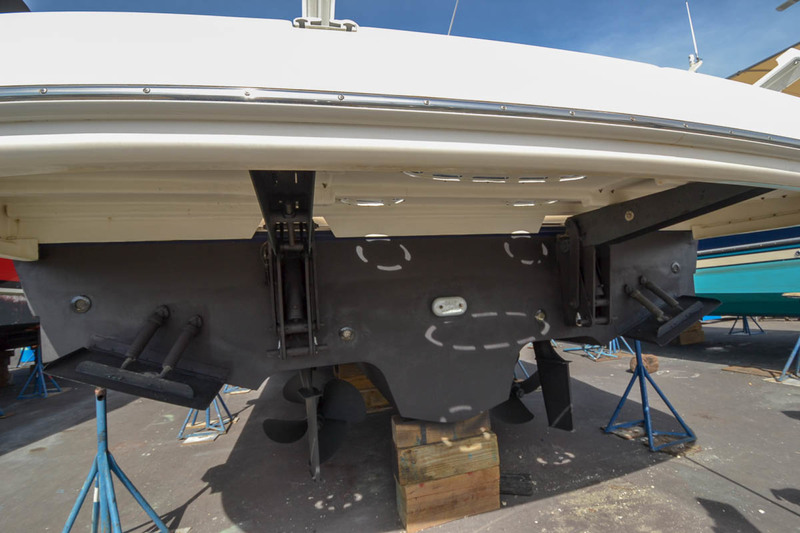 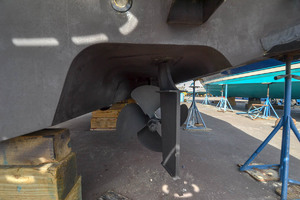 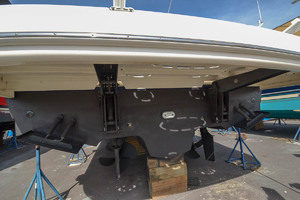 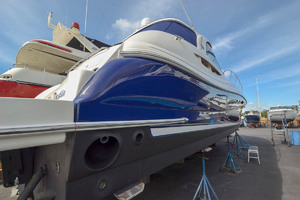 With painted blue hull 2013, recent topside and hull detail 10/2018, 1000 hour services 04/2018, bottom paint 11/2018, NEW cockpit seat cushions 2019, spare props and KVH SAT TV there is nothing to apologize for in this yacht offering. 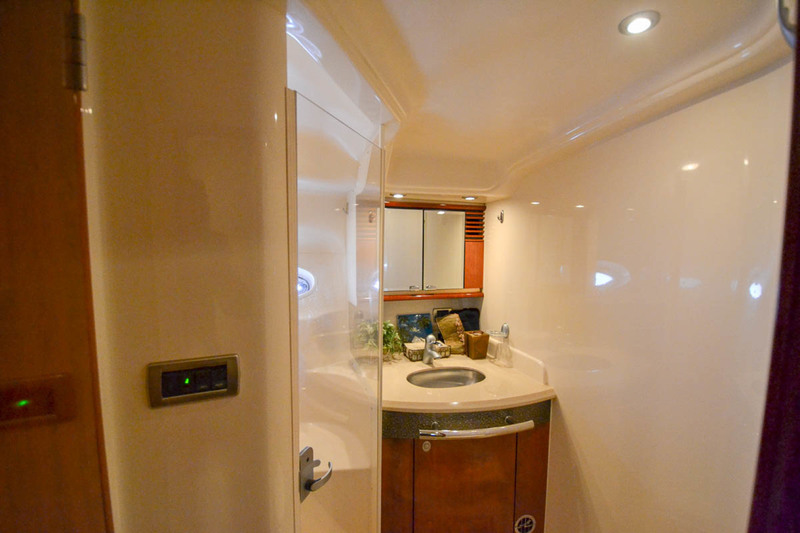 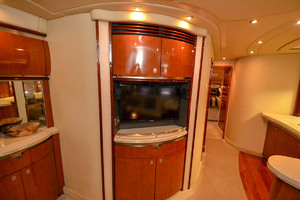 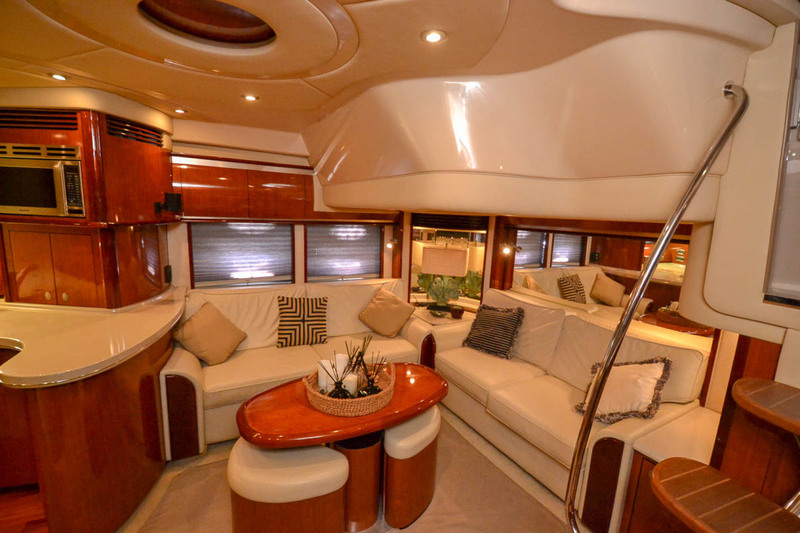 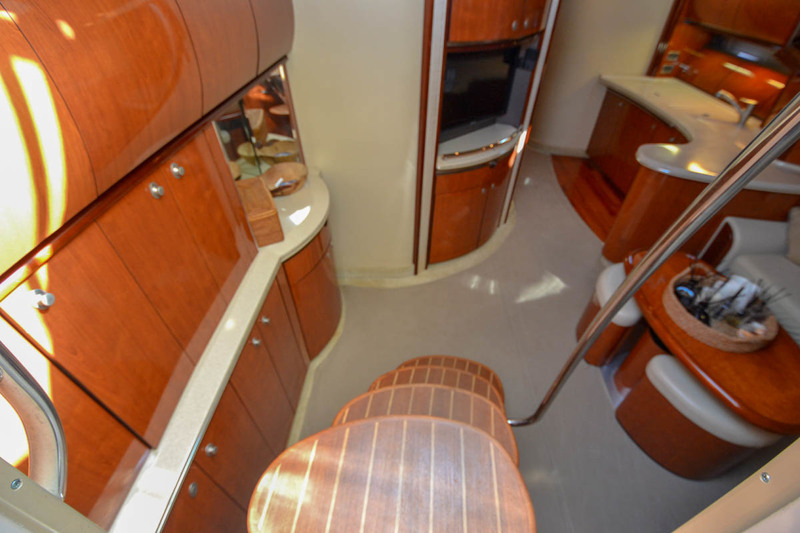 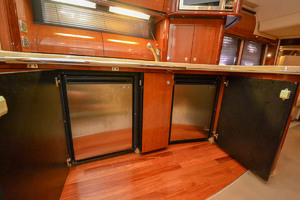 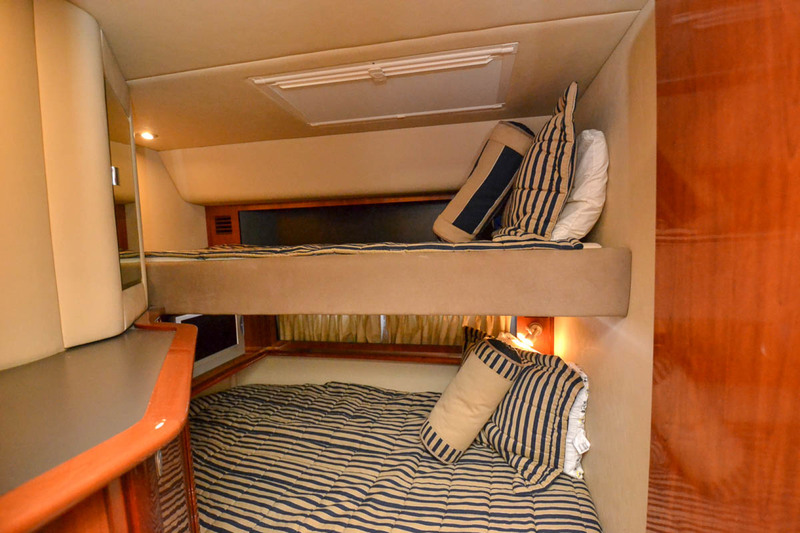 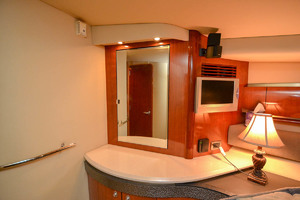 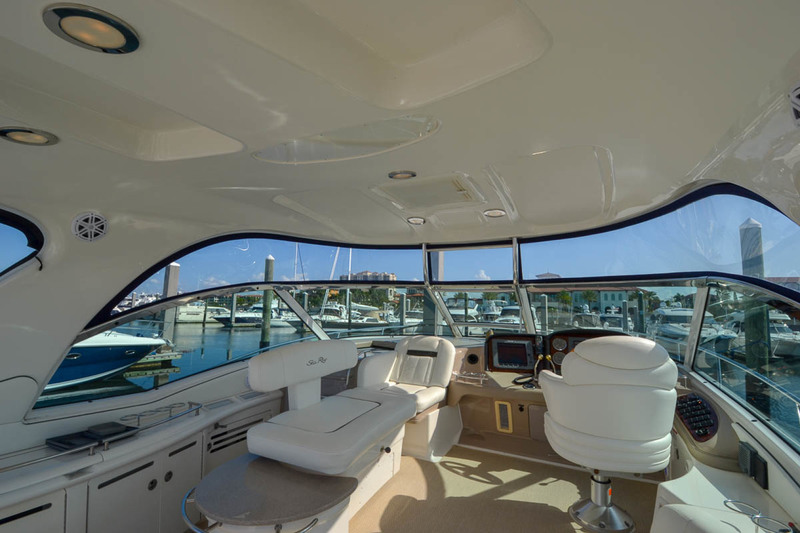 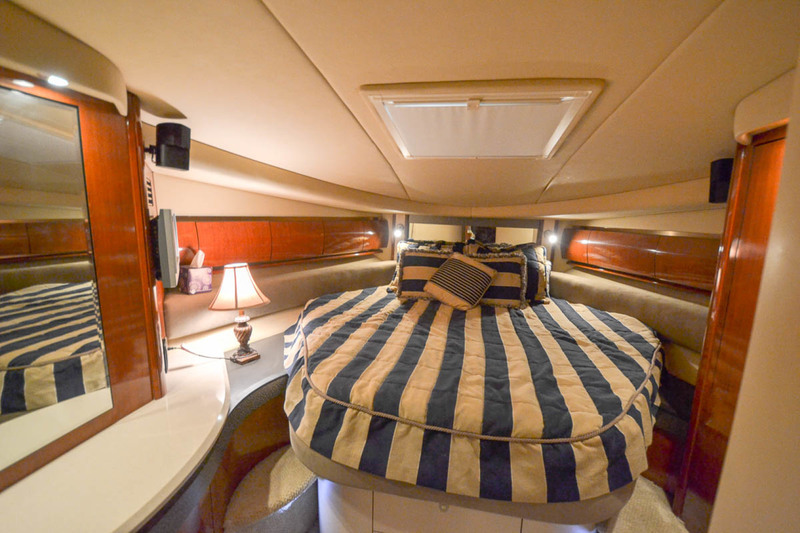 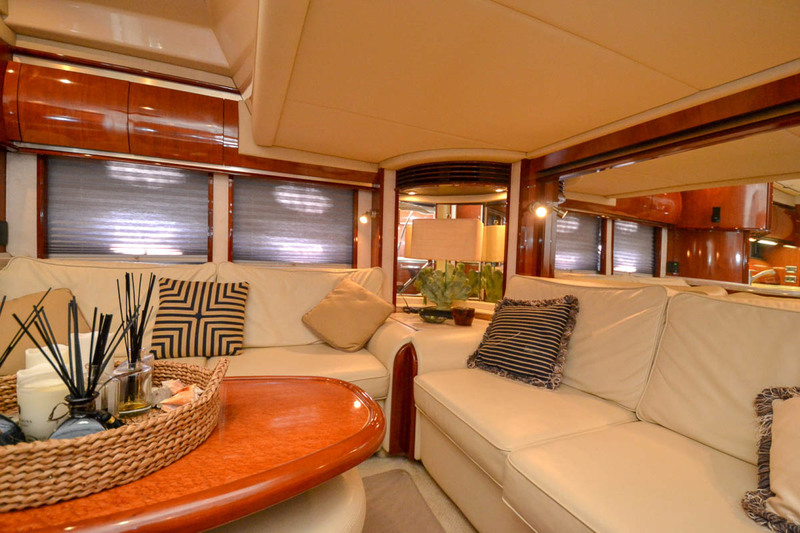 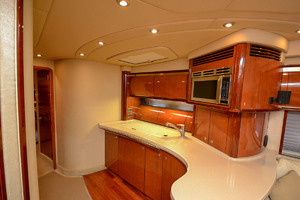 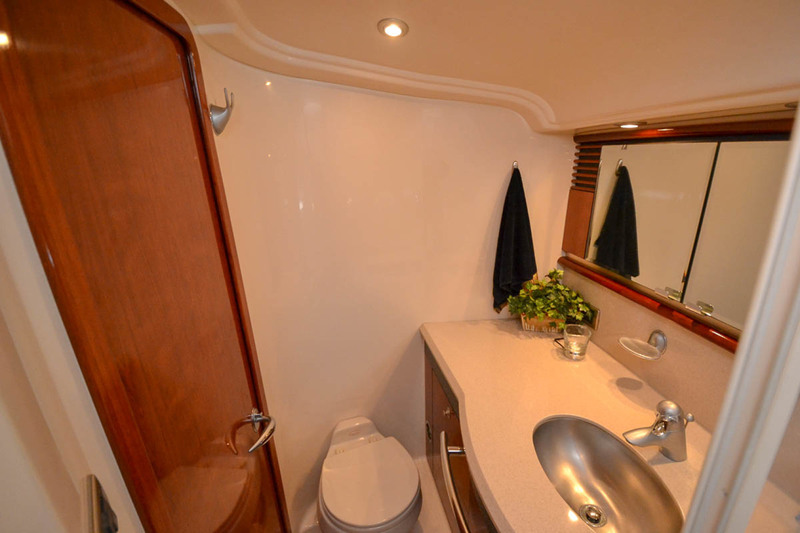 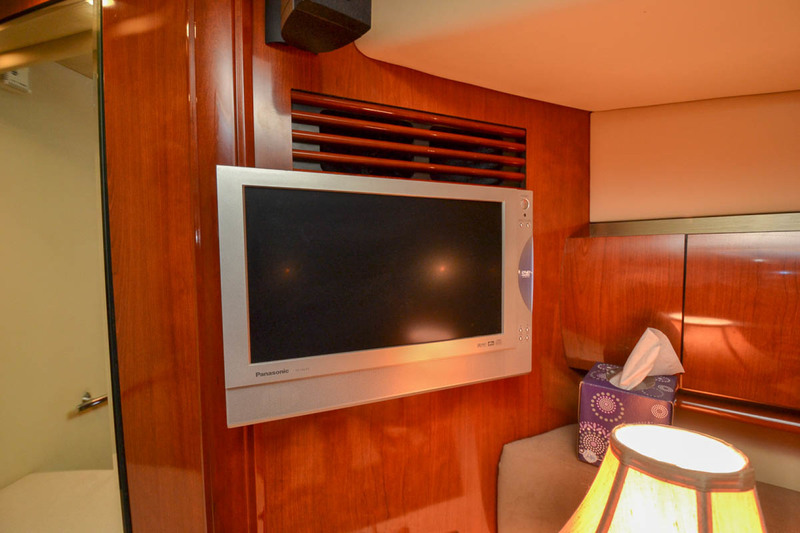 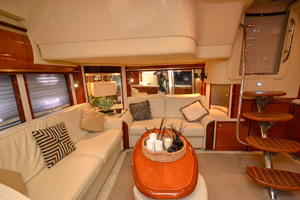 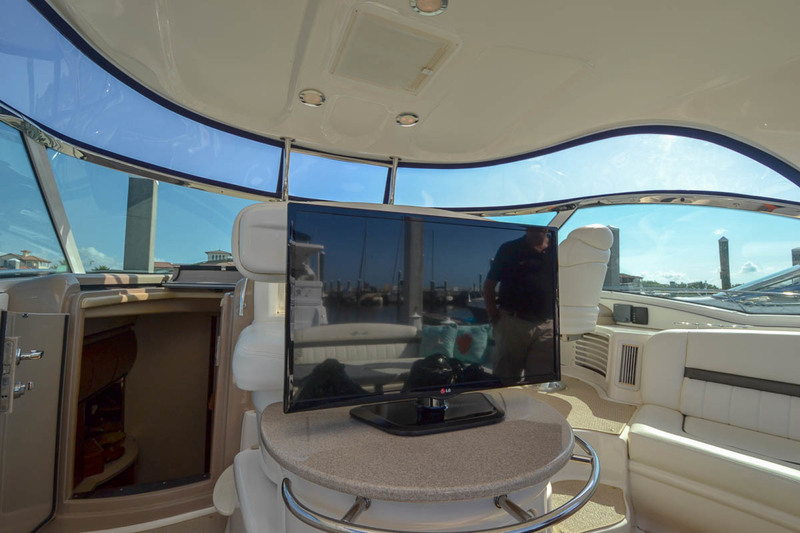 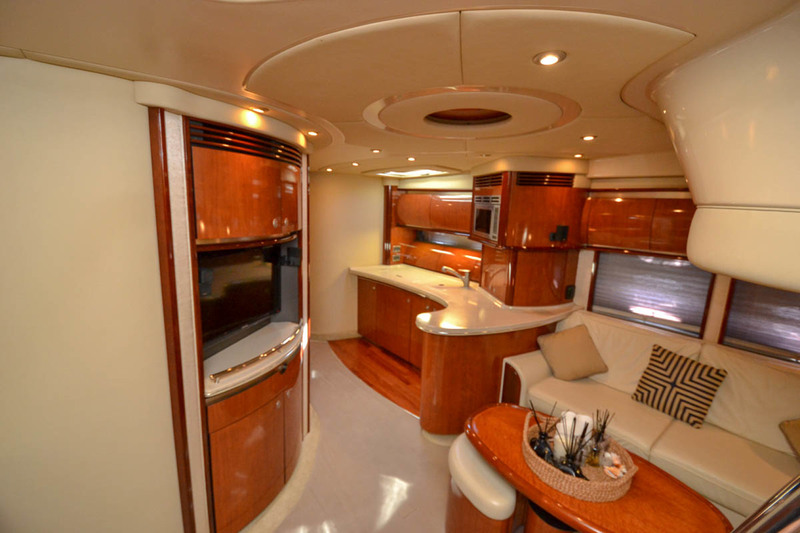 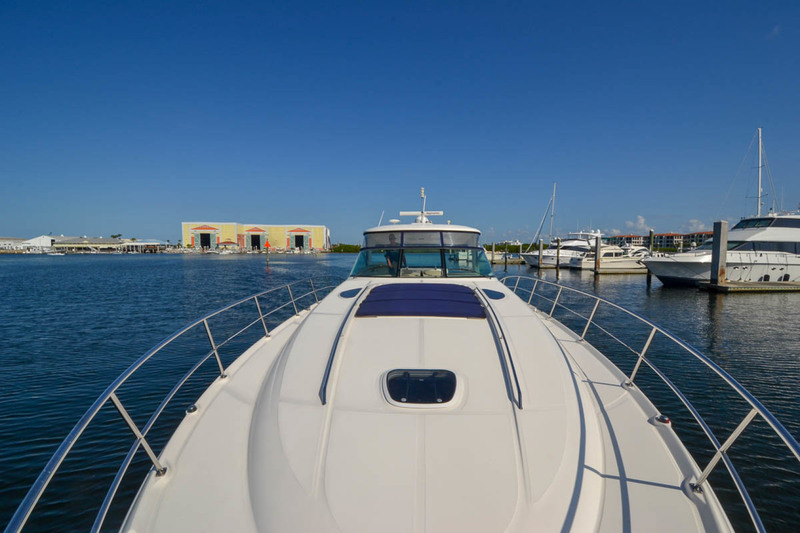 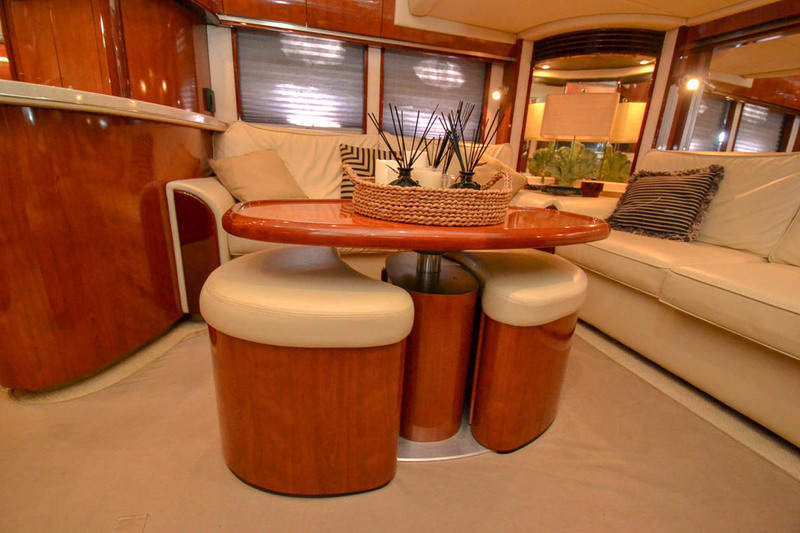 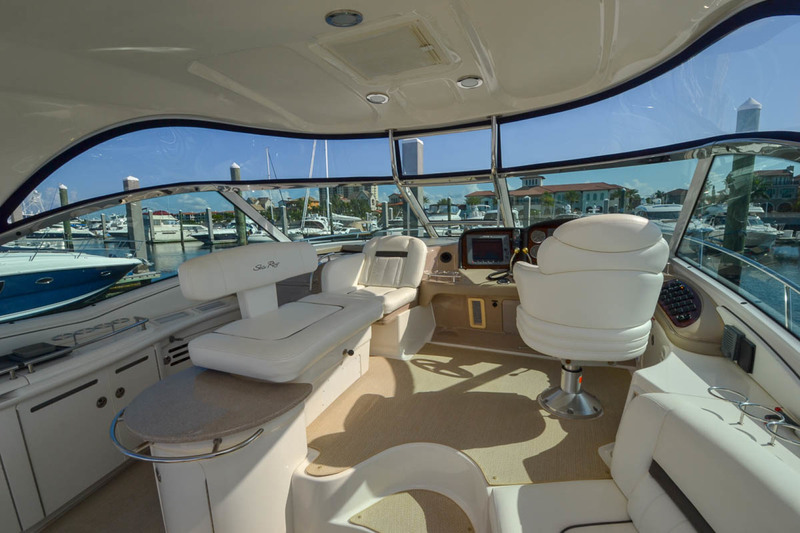 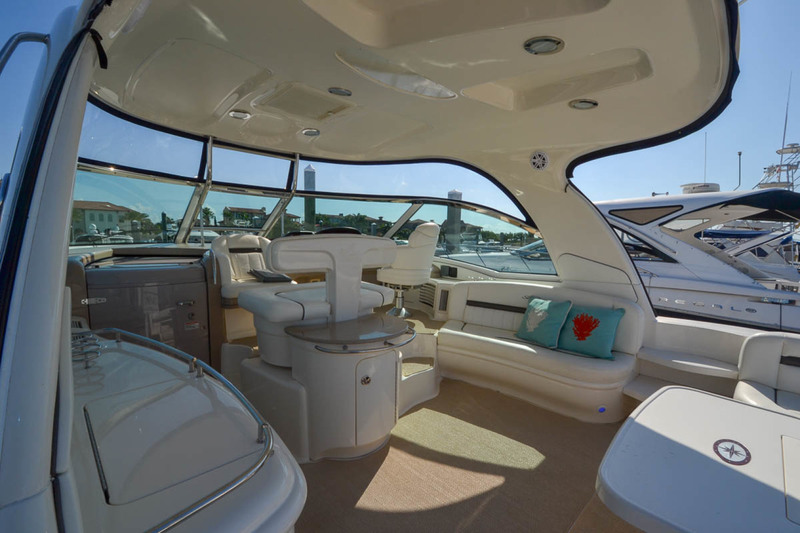 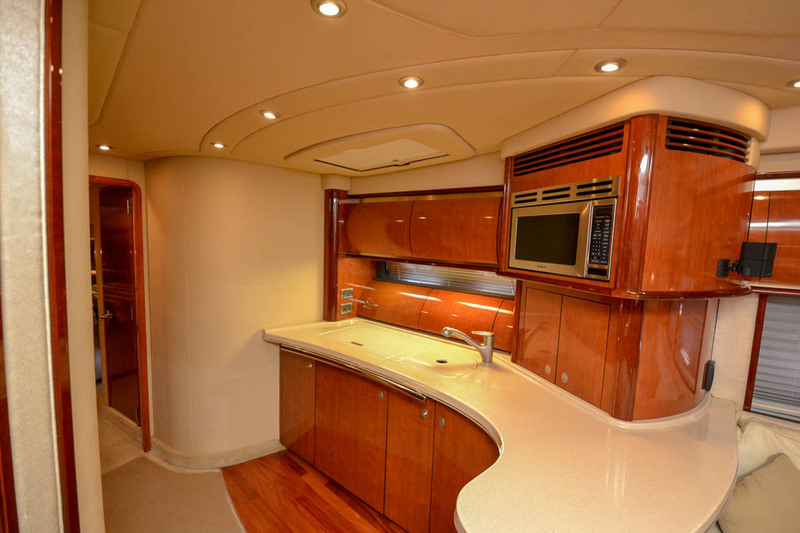 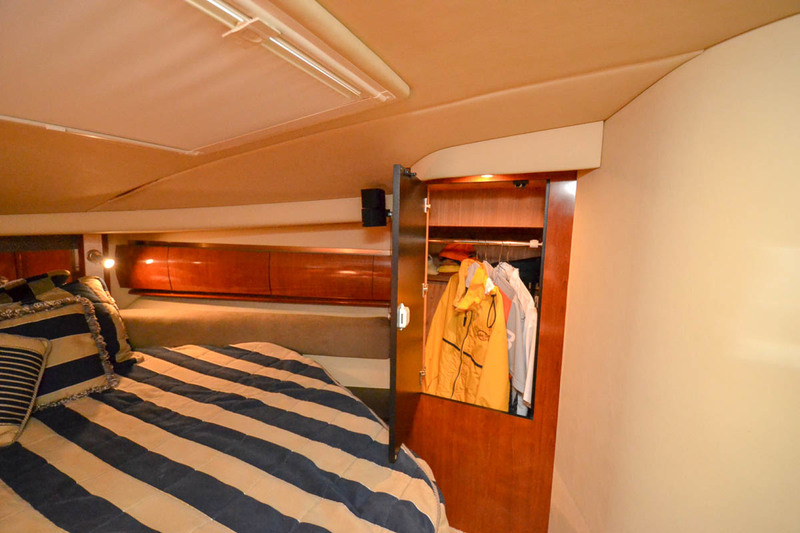 The posh twin-head interior with cherry joinery, carpet features elegant salon with two ultra-leather settee layout which one converts to sleeper, spacious galley which doubles as a bar, complete entertainment center with Bose Lifestyle & SAT TV. 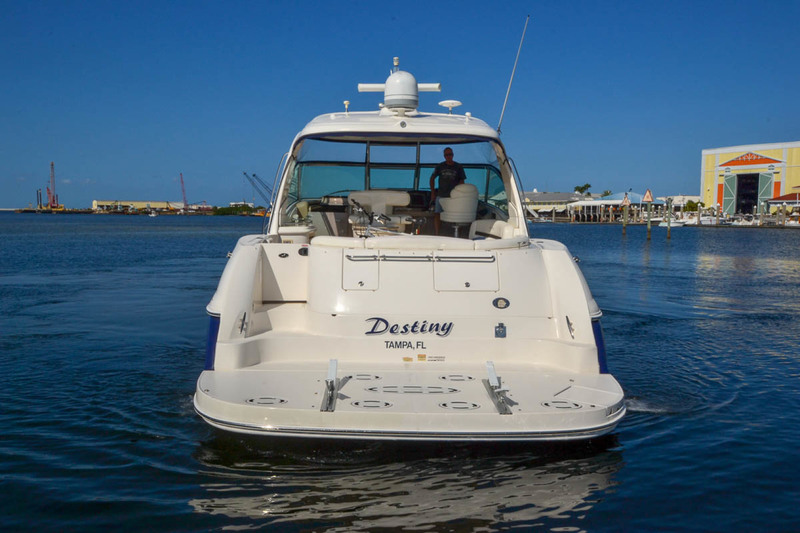 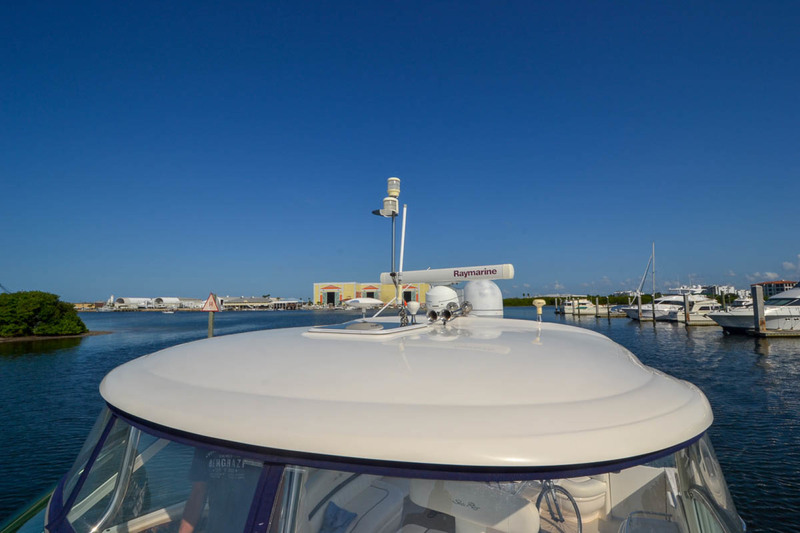 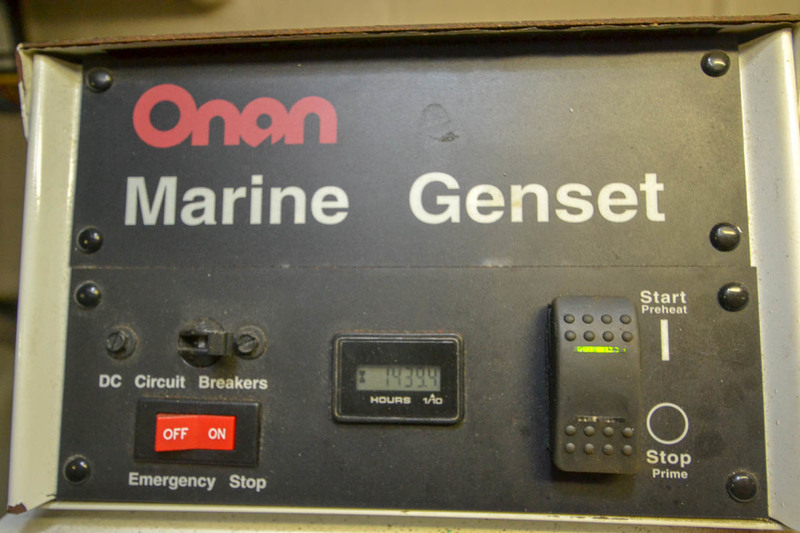 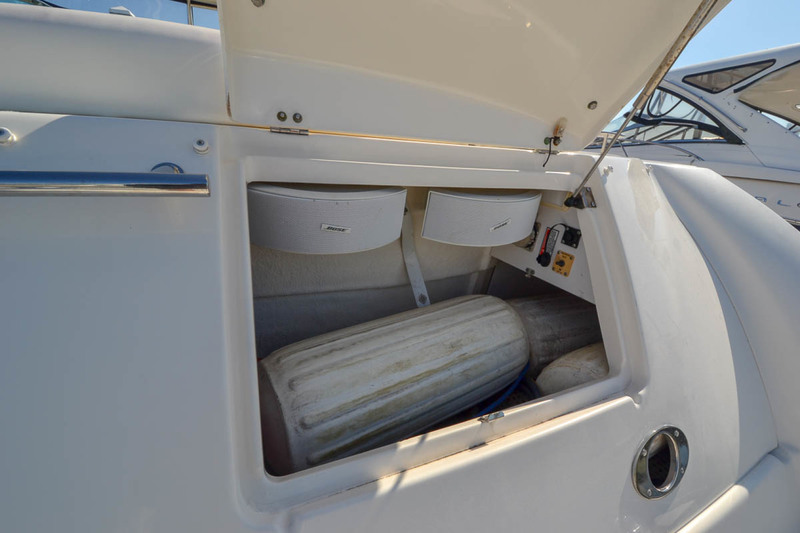 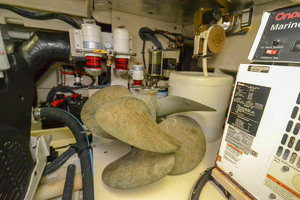 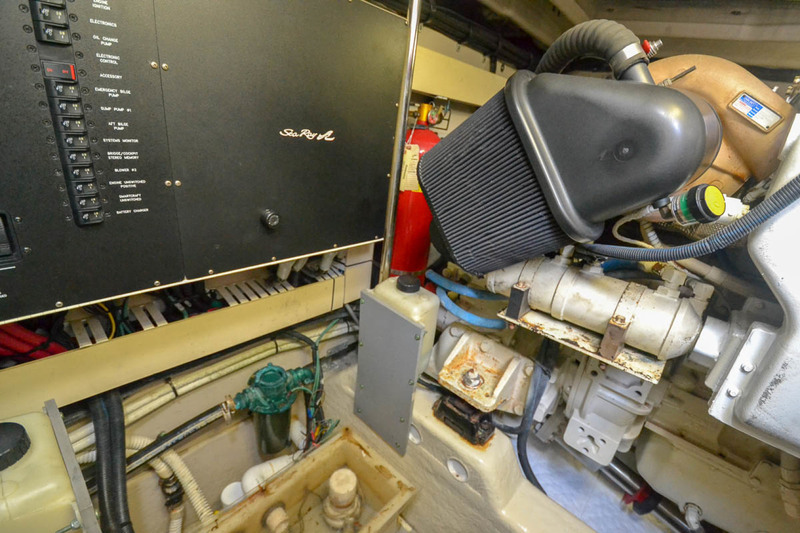 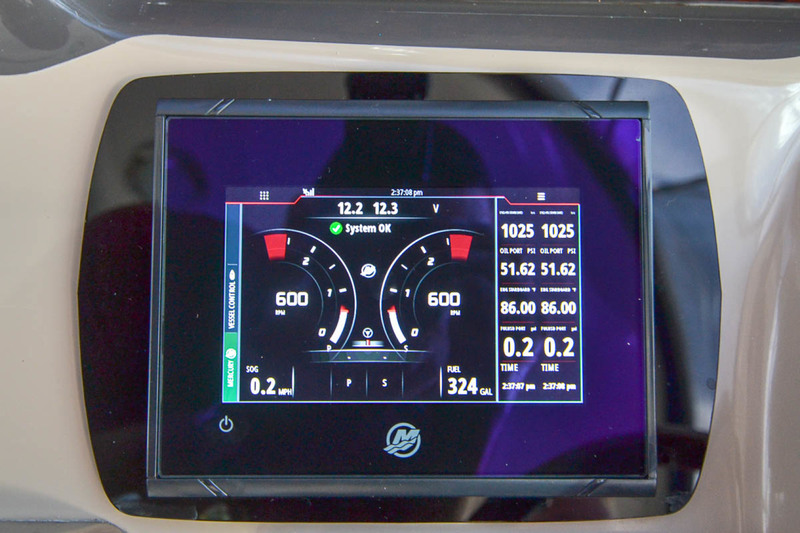 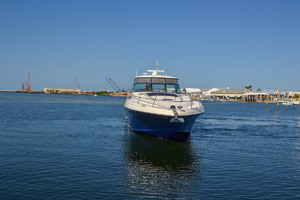 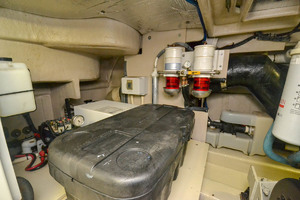 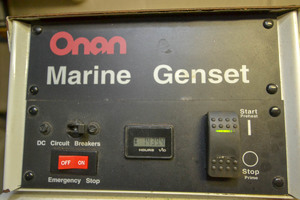 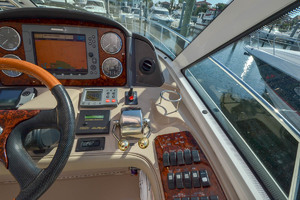 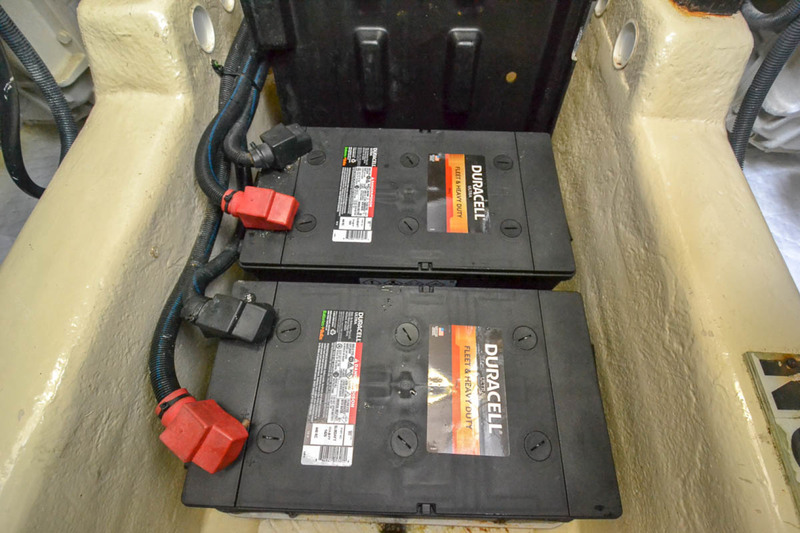 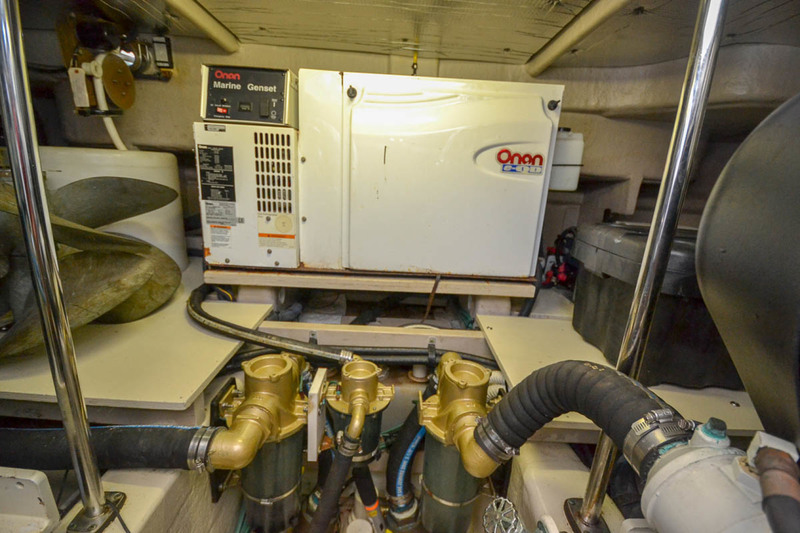 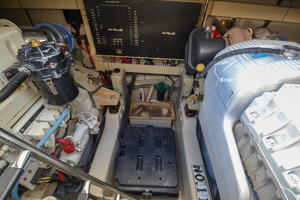 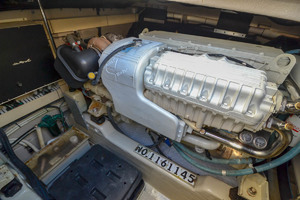 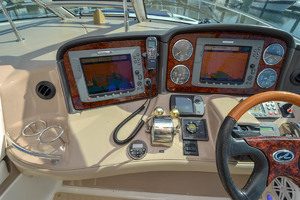 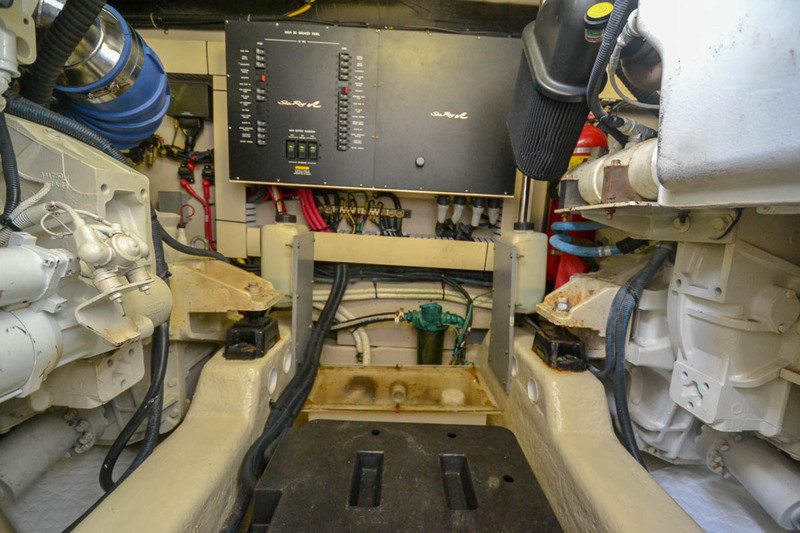 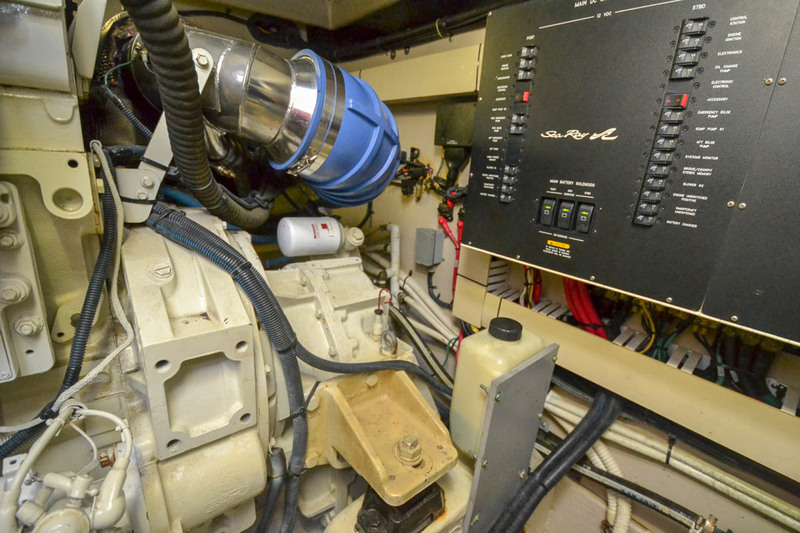 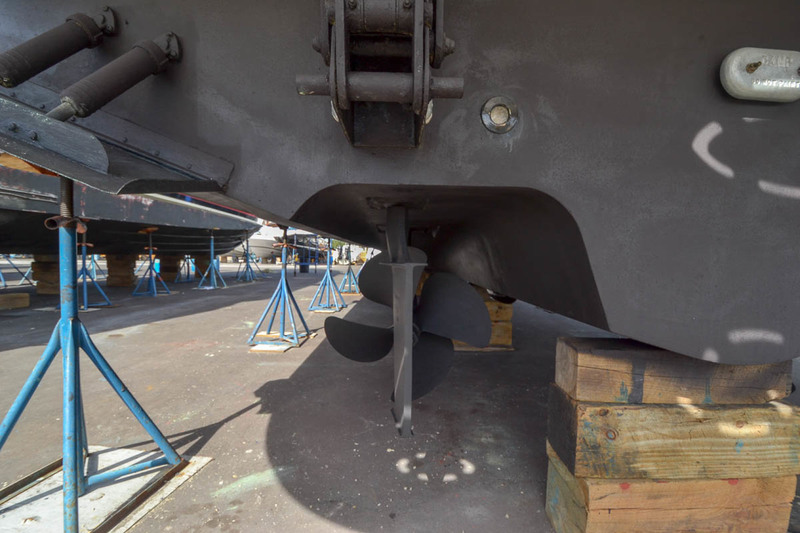 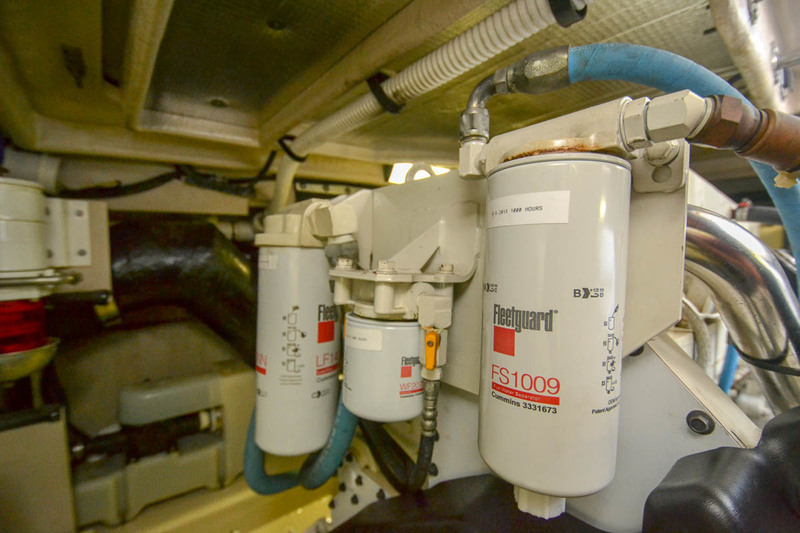 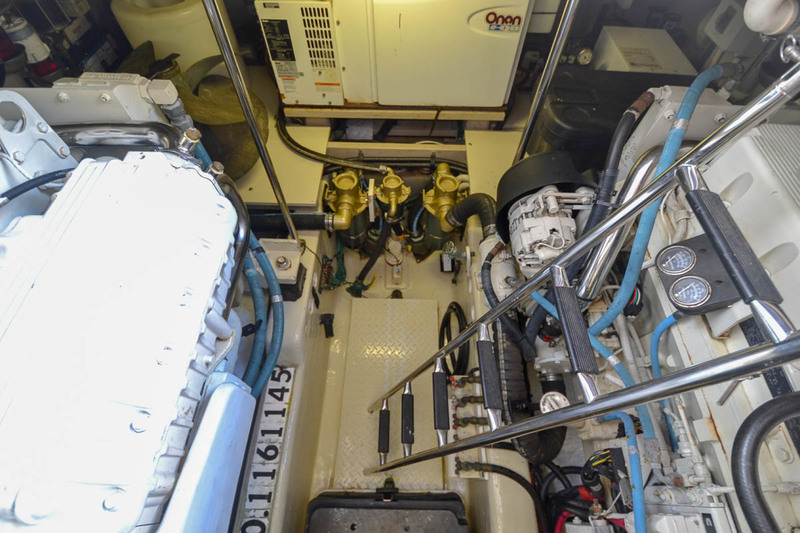 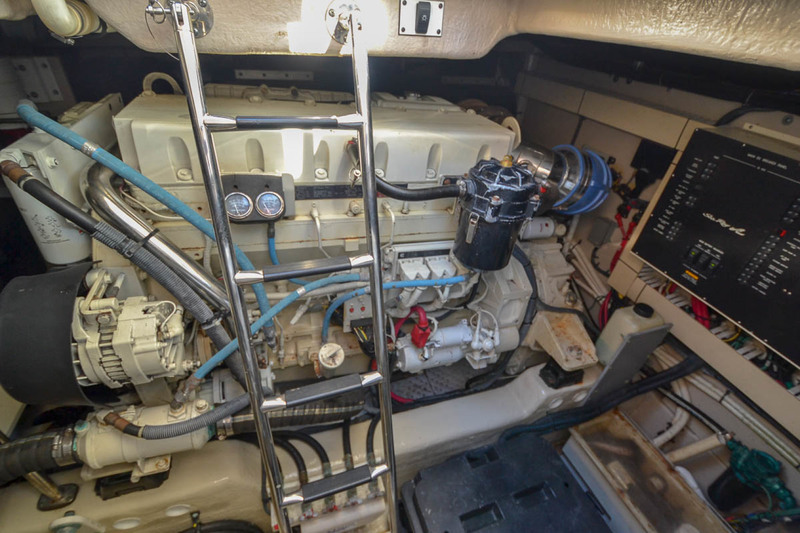 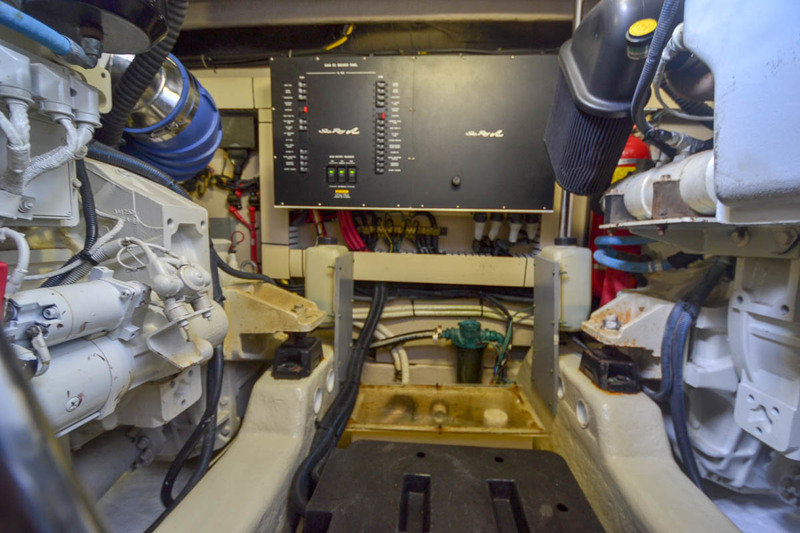 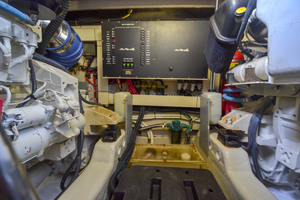 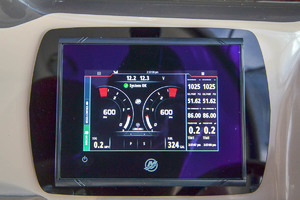 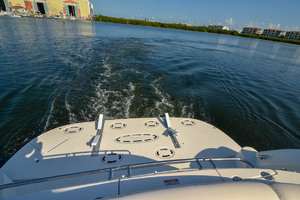 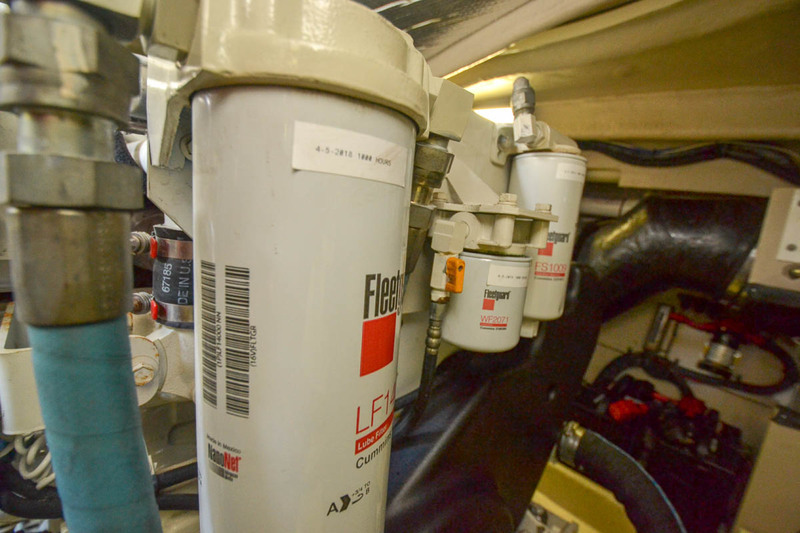 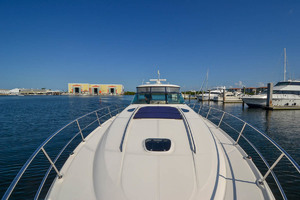 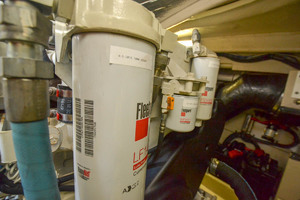 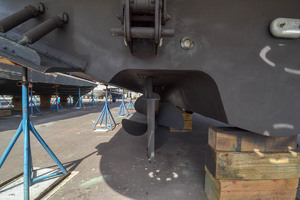 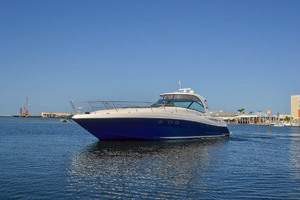 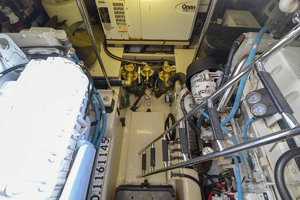 This vessel cruises at 24 knots with Cummins QSM-11 - 640hp V-drive diesels (30-31 knots top).